Now that he is a free man, former Hidalgo County Sheriff Guadalupe “Lupe” Treviño will be required to start making payments to the Texas Ethics Commission in the amount of $10,000. Last February, the commission ordered Treviño begin making monthly payments of $285 no later than Feb. 1, 2019, “to satisfy” the $10,000 penalty imposed by the commission. If he makes the minimum monthly payment, he will finish paying the fine in December 2021. The 69-year-old was released from the custody of the Federal Bureau of Prisons on Tuesday after serving approximately four years and four months of a five-year sentence. After pleading guilty to laundering money from a Weslaco drug trafficker through his 2012 re-election campaign, Treviño was placed in federal custody in September 2014, according to Monitor archives. He was released from a Pensacola, Florida federal prison camp — ranked by Forbes Magazine in 2009 as the second “cushiest” federal facility in the nation — in July 2018 and sent to a BOP-managed halfway house at an undisclosed location in Texas. The disgraced lawman spent the past few weeks on home confinement in the Rio Grande Valley, according to former district attorney Rene Guerra, a close friend and former colleague. The ethics commission’s Feb. 2, 2018 order is the result of a January 2014 complaint Robert Caples filed just months before Treviño resigned from the sheriff’s office and subsequently pleaded guilty to the federal charge. Caples requested the commission investigate whether Treviño improperly accepted cash campaign donations from drug trafficker Tomas “El Gallo” Gonzalez. 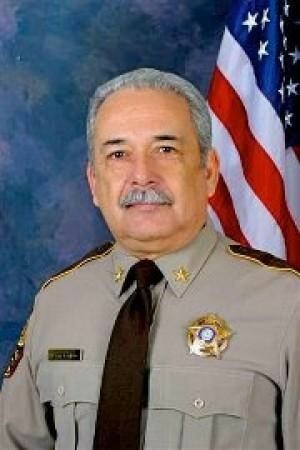 Caples, a former sergeant with the sheriff’s office and now the commander of the Starr County Special Crimes Unit, unsuccessfully ran against Treviño in 2012. He could not be reached for comment Tuesday. Four years after its filing, the commission met to “re-consider” the complaint and handed down an order stating Treviño violated the Texas Election Code by accepting “a political contribution in cash that exceeded $100 in a reporting period from a single contributor.” Ian Steusloff, general counsel for the Texas Ethics Commission, could not comment on why it took four years for the commission to take action on Caples’ complaint. The $5,000 campaign contribution was disclosed on a July 2012 campaign finance report, according to the order, which the then-sheriff deposited into his campaign bank account. On Aug. 18, 2012, Treviño wrote a check refunding the amount to Gonzalez, which the drug trafficker never cashed. “Although the respondent (Treviño) swore that he never intended to accept the $5,000 cash contribution, the fact that he deposited the money into his campaign account and reported it on his campaign finance report is evidence of acceptance,” the order read, noting Treviño failed to meet the legal deadline to refund the unwanted donation by three days. The order did not address a second $5,000 contribution from July 2011 contained in Caples’ complaint, also from Gonzalez, which Treviño refunded via another check that was not cashed. The amount of money Treviño received from Gonzalez, who is serving a 10-year sentence in a Mississippi federal prison on drug trafficking and money laundering charges, remains unclear. The presentence investigation, a document not made public by the court, estimated the amount at $20,000 to $25,000, according to Monitor archives. Yet archives also note prosecutors put the amount at $70,000 to $120,000 during his guilty plea. If Treviño fails to make payments to the ethics commission, it could refer the order to the Office of the Attorney General for collection, said Steusloff. If that were to happen, it would be up to the AG’s office to determine how they want to enforce collection.